You are here: Home / News / FLIP-FLOPS SEASON! Summer is coming! 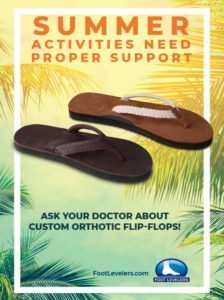 Stop in our office to use our self-serve foot scanner to get flip-flops custom made for you!